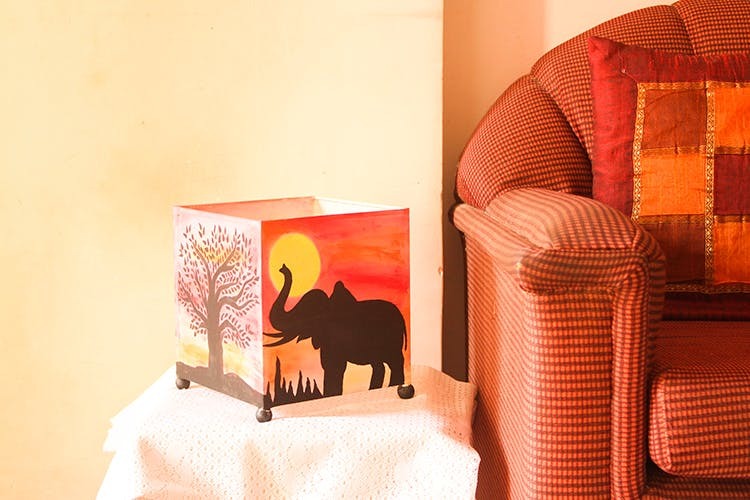 An online portal that sells beautiful hand-made personalised lamps, paintings and glass souvenirs, Mango Chutney’s range will will both catch your eye and not leave you broke. Mango Chutney sells gorgeous paintings, hand-painted lamps and bottles which will blend with the décor of your home with plenty of ease and instantly add a touch of beauty to your space. These offerings are the perfect way to give a different feel to your space depending on the time of the day and what you are using it for. They are a great option to create focus point or to give a unique theme to a place. at mango Chutney, their in-house designers can help you customise or help you choose a product that suits your requirements perfectly well. This portal’s assortment consists of glass paintings, tile paintings, canvas paintings, hand-painted floor, ceiling and table lamps, and hand-painted bottles and crockery. We love the fresh vibe these beauties bring along with them, and the usage of happy colours automatically brings a smile on your face. Personalised lamps are priced between INR 1,000 to INR 3,500 depending on the size of the lamp and the brief. The paintings start at INR 800 upwards and the glass souvenirs are priced between INR 300 to INR 600. They’re soon going to start selling customised jenga sets, so that’s another bonus to visit their site. We love the range of products on offer here, and if you’re looking at adding quirky pieces to your decor or simply want to give someone a gift, then do check out Mango Chutney.